Farming is a big deal all over the world. Crops feed almost everyone around the world, and animal products like eggs and meat provide a important resources. One of the places that relies on these foods is in India. Farmers depend on their rice crops to feed their families and support their lives. They sell the crop and eat much of the rice themselves. So what happens when there isn’t any rice to sell or to eat? This scenario may be caused by droughts. 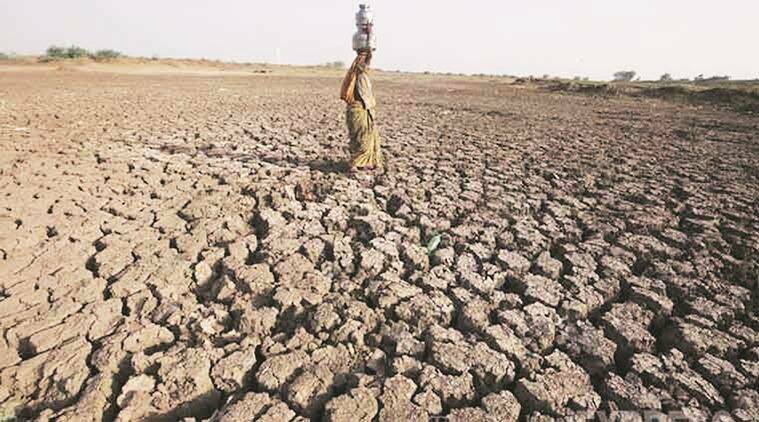 Over the past several years, there have been many terrible droughts in Southern India that some people believe are a result of global warming. These droughts quickly destroy the farmer’s whole field, and because of the lack of water, the little rice that farmers can salvage from their fields to help feed their family cannot be cooked without wasting a limited resource. Suicide is also another part of this equation. Some say that because of the warmer temperatures and the loss of their crops, farmers have committed suicide. Local government officials in India deny this claim, saying that there is no connection between the suicides and the droughts, but others aren't so sure. On a day where there was a two-degree warming, there was a total of 67 suicides in the area. With these kinds of limitations, there are pretty much only two options. Stay and try to survive the hot temperatures, or leave. Staying means little water and food. Leaving means a long job search and possibly separation of families. K. Muthu and her husband, N. Kumar, have decided to stay. They never know when they will get water next. They survive by a trickle of water that gives water for one hour every other day. They just have enough to wet their throats and mouth. Muthu prepares rice issued by the government, instead of growing their own crop. Muthu and Kumar have sent away their son, Prahbu, to do work in a cotton mill that is 200 miles away. The work is backbreaking and the days are long. The only reward for his work is food. He says, ¨It's very difficult here. I always think about my family and want to go home.¨ Prabhu’s parents struggle to pay back unpaid loans. ¨If I were to take out any more loans, the interest would grow, and my whole family would be forced to kill themselves,¨ says Kumar. Farmers in India have led protests in Delhi, carrying the skulls of dead farmers through the streets. Activists say that helping people adapt to the droughts may require governments to relocate large groups of people, aid farmers, and build giant infrastructure projects.